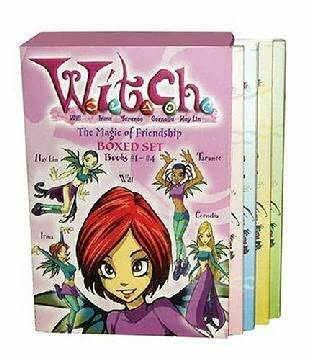 W.I.T.C.H (standing for Will, Irma, Taranee, Cornelia and Hay Lin) is a wonderful series of books written by Elizabeth Lenhard. This fiction series is about magic, about five fabulous girls against untold evil. Their job is to close up all the twelve portals to the evil world Metamoor to stop the flow of monsters from the not-really-wonderful place. 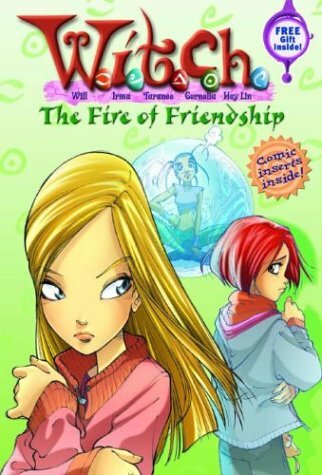 Will has left Taranee in the dark Metamoor with their evil ex-friend Elyon. Taranee is being kept prisoner in a giant bubble which even Hay Lin can't penetrate. The Guardians must rescue her! At last, Taranee is saved by her own fierceness and together the girls pursue Cedric, the snake monster. Meanwhile, their astral drops on earth ruin their social lives, even agreeing to the idea that Will's mom's boyfriend is their history teacher. 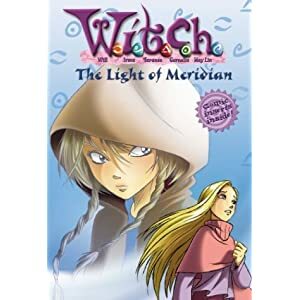 Cornelia , after cleaning up her room (with her earthly magical powers, of course) finds a long-lost journal, which tells her of her long-lost friendship with Elyon, the cute girl who was lured into Metamoor by the evil serpent Cedric. Cornelia decides to face the dangers of Metamoor by herself, so strong is the longing for Elyon; Cornelia crawls through a portal, her friends not by her side, and seeks Elyon. Great book, but there is quite an amount of kitsch - "I don't know," she said, now seeming even more lonely and uncertain than before. "I don't even know who I am anymore." Her eyes grew teary, and she turned her back to Cornelia.